The images of the Greek goddesses associated with the innocent beauty, the inner light and tenderness, live in the imagination of mankind for nearly three millennia. Why in the world are popular wedding hairstyle, designed in the Greek style. Now it is possible to make not only long hair but also on medium and short. 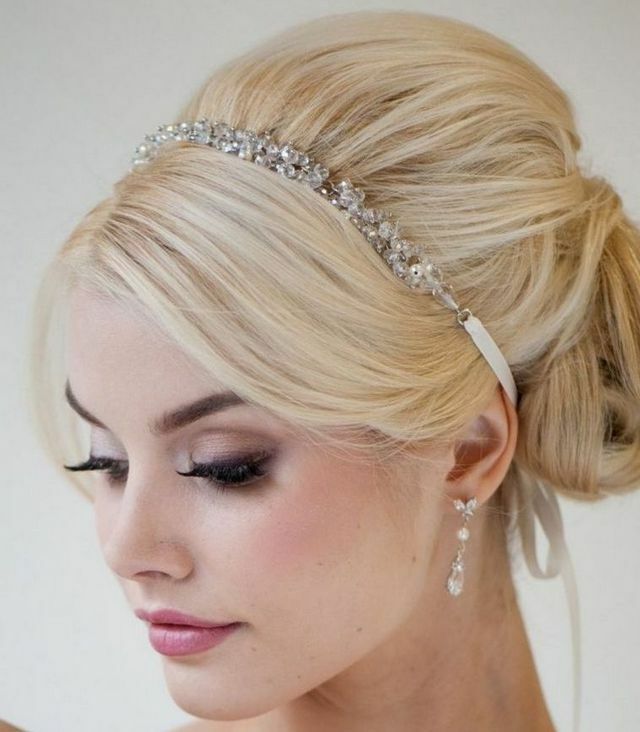 Read more about wedding hairstyles for long hair with tiara. 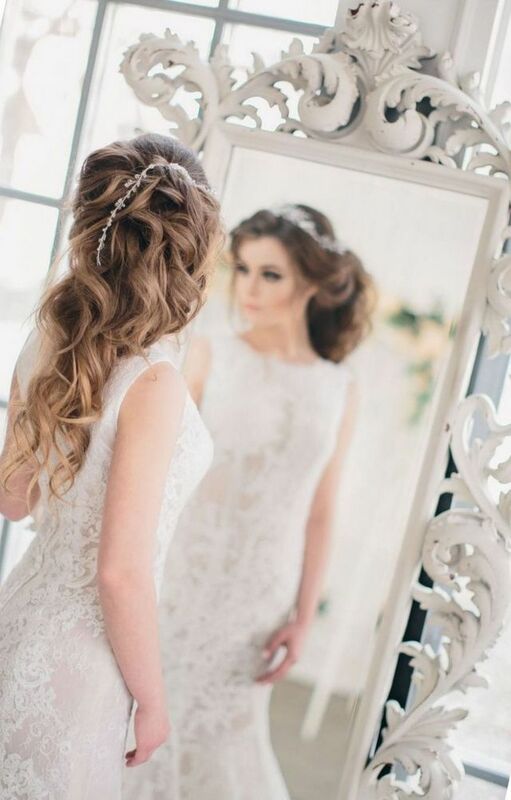 A clear parting, bouncy voluminous curls, unusual braided braids — with these simple elements and experienced hands of professional stylists wedding hairstyles in the Greek style be a real work of art. 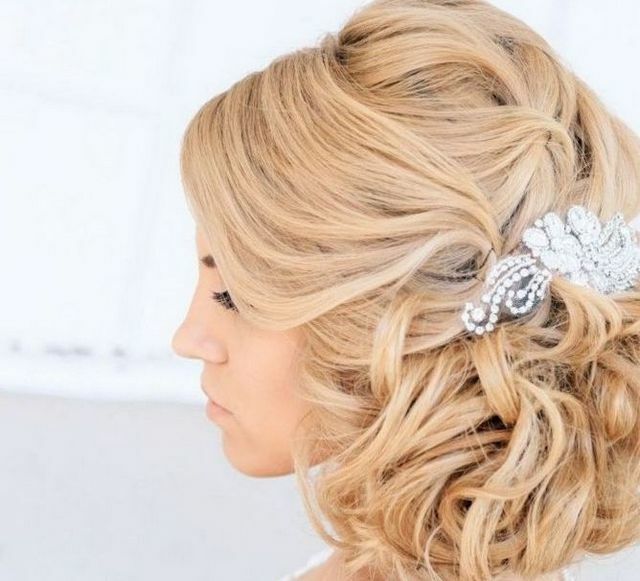 While creating this wedding styles there are no restrictions and standards, the beauty and uniqueness of the image depends only on the imagination of the hairdresser. 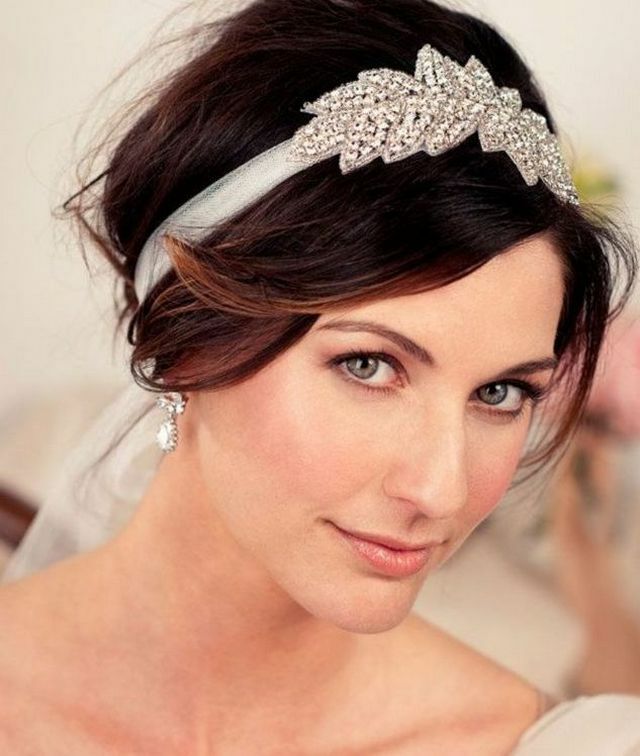 Tiaras – are very popular, are a great alternative to a veil, especially for Greek hairstyles. The bezel may consist of a number of thin rings, is the best complement the wedding hairstyle in the Greek style. Fresh flowers – with the help of this accessory you can decorate styling, even on very short hair. The bandage is mostly to decorate the wedding hairstyles in the Greek style used satin ribbon. 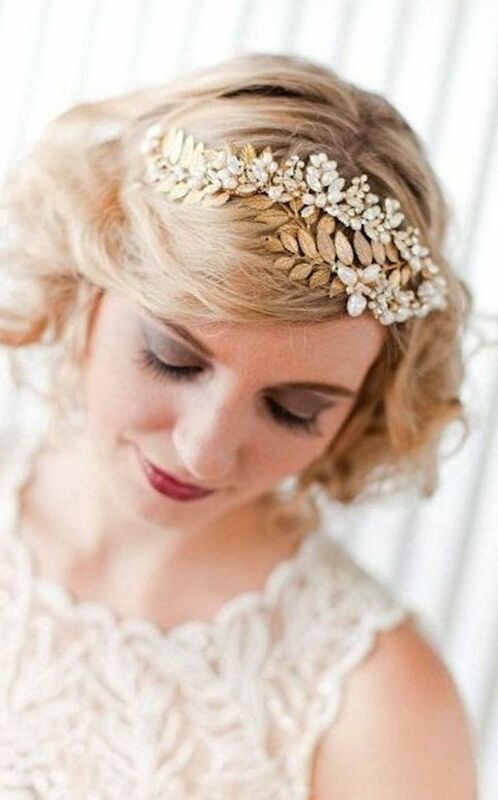 Wedding hairstyles in the Greek style often used different studs with ferrules, complemented by rhinestones and artificial stones, pearls, original hair clips, etc. To strengthen the result and maintain the hairstyle for the whole day you should use the tools for styling and then nothing can overshadow this solemn day. The style of the Greek hairstyles is always recognizable – it is long flowing hair, slightly curled in voluminous curls that are completely or partially collected from the back using a hair accessory. 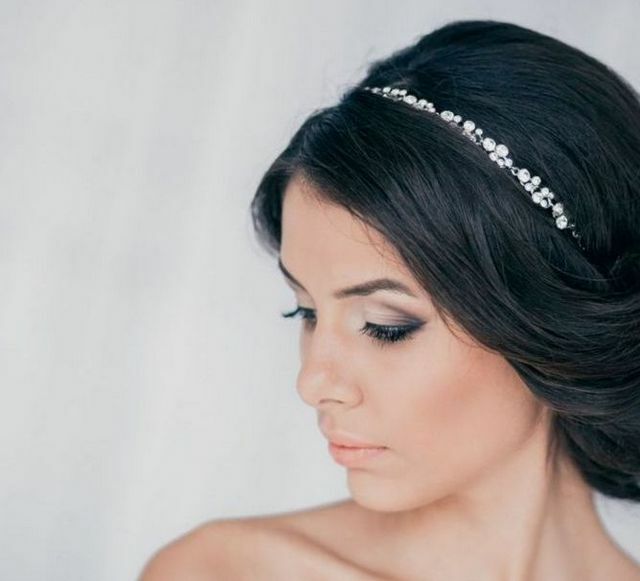 Wedding hairstyles in the Greek style can be designed as difficult and as simple as loose braid, and the rim or loose curls, decorated with a thin bezel. High hairstyle can make the bride slimmer, to show the natural beauty of the hair and complement the image of the Greek goddess. Node. It is based on parted in the middle, curled tresses. The bulk of the hair, going to the top of the head and tied in a knot, with loose strands remain at the temples, around the forehead and at the nape. This hairstyle to decorate a tiara, headband, armband. Laying with a special mesh – stefanou. This accessory is a rim consisting of several thin cords or yarns. The hair can be dissolved or collected in a loose braid. Braid – this hair holds a leading position not only as wedding styling, but also for everyday life. Braid is normally braided and wrapped around the head, decorating with flowers or little hair clips. Currently, the myth that Greek hairstyle is only suitable for long hair, is not relevant. 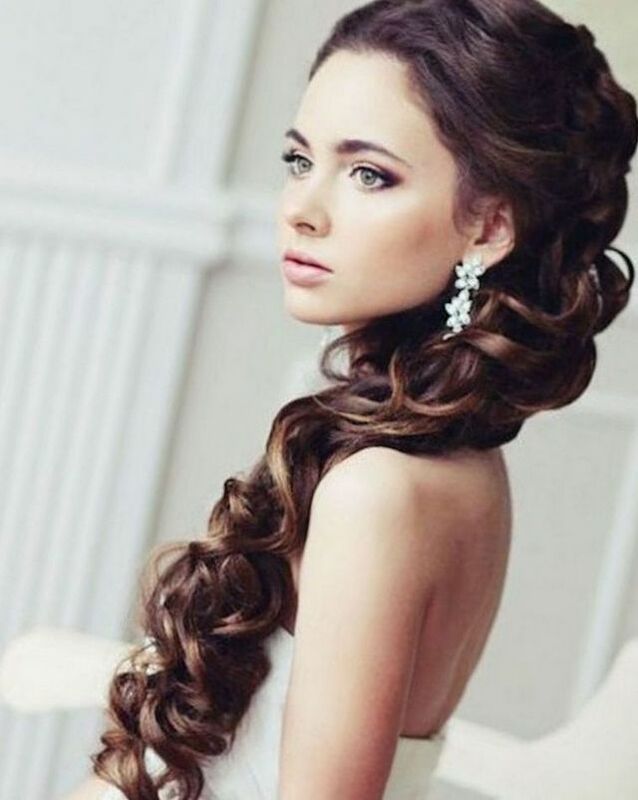 The owner of medium length hair have many advantages over long-haired brides, first of all it concerns the most simple styling with use of bandages, making Greek wedding hairstyle looks neat and keeps its shape throughout the celebration. Medium length hair is no need to braid it into complex braids, cheat, is enough to fix them using vivid, relevant for the case of a bandage, and the image of the bride in the image of the Greek goddess willing. The first option is to wind small curly hair, if the length and tie with a band or wear a thin headband. Second option: make waves and parted in the middle, wearing the top of the headband or tiara. 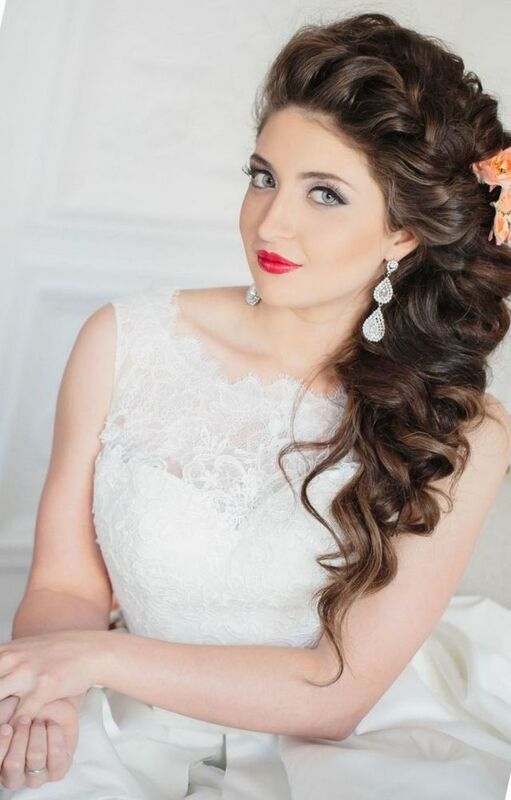 Wedding hairstyle in the Greek style can be done in two ways: for curly hair and for straight. It is very simple hairstyles using bandages. They are suitable not only for weddings but also for any festive event, check out the video masterclasses. The first option – the Greek wedding hairstyle for straight hair. Hair must be washed and dried with a hair dryer. You should then braid the Greek braid is a wide, loose braid around her head. Further, the hair on the crown, twist in small flagella and fixed with varnish. The rest of the hair on the back of the head can twist. 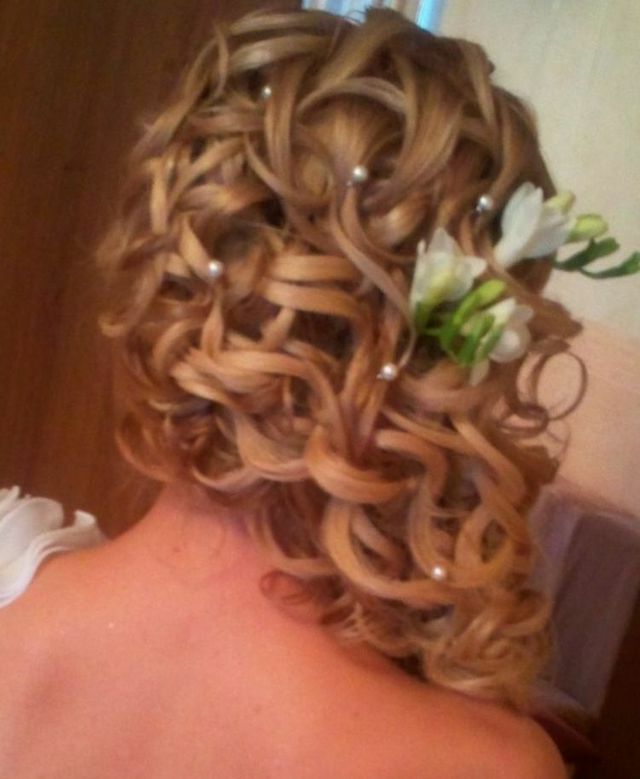 The second variant – Greek Bridal hairstyle for curls. Hair need to cheat with the help of tongs, then put on top of the bright band is a rubber band and start to fill the locks one by one, starting from the back. The front strands of hair at the temples can be left as free, and to hide behind the blindfold.